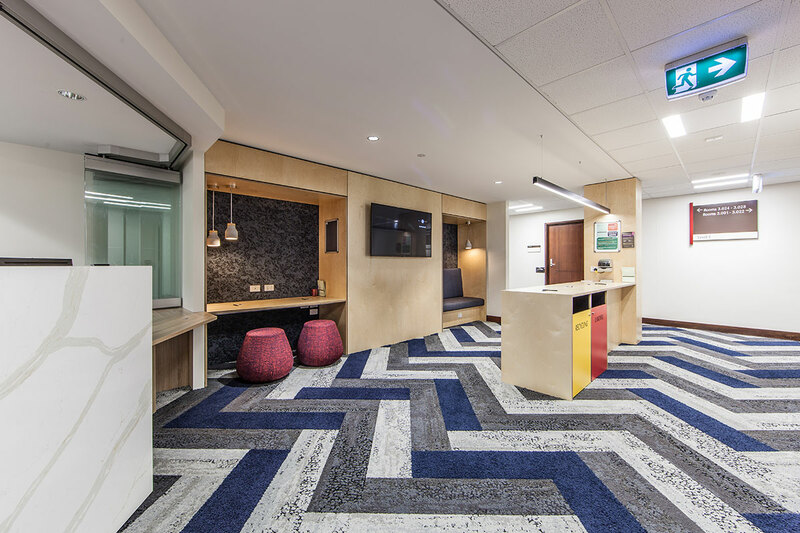 Murdoch University, working with IA Design, redesigned the E&H area for both students and staff. Aurora Project Group was contracted to complete both demolition and redevelopment of these areas. The three different contemporary designs comprised of an undergraduate study area, postgraduate lounge for the School of Education and a reception area for the School of Arts. The undergraduate study area compromised of an agile working lounge with breakout facilities, kitchen areas and a mezzanine area dedicated to quiet study with traditional study booths. 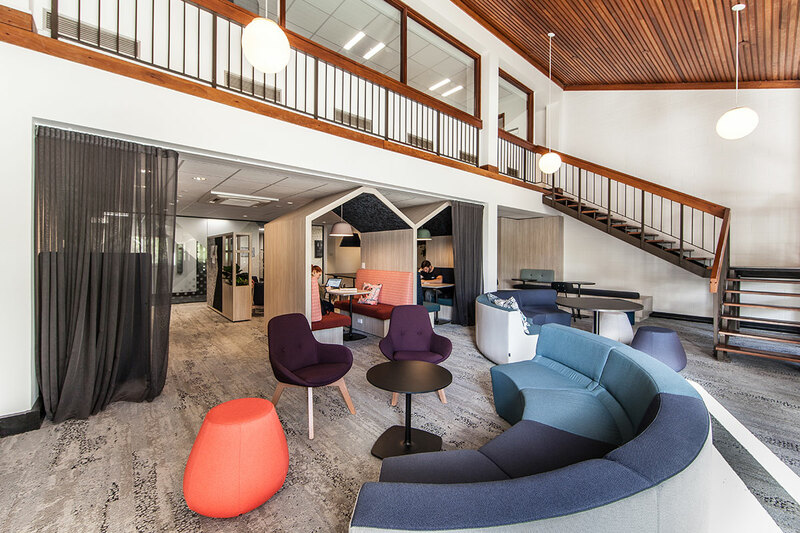 The postgraduate lounge within the School of Education was designed as an acoustically attenuate private study space, combined with an adjacent lounge area. A larger, fully equipped kitchen was also integrated into this area. The reception for the School of Arts was originally situated in a long, featureless corridor. It was transformed from a dark and unreceptive environment into a welcoming and functional reception area that optimised accessibility to all. As the scope of works spanned across three levels within the building the coordination of trades for optimal timings were essential. Over the 12 week period, changes to both the scope and program were accommodated, including the re-use of existing infrastructure for cost savings purposes. The project was executed during the student holidays, however noise and access restrictions were still in place as it was a live working environment for Murdoch staff.